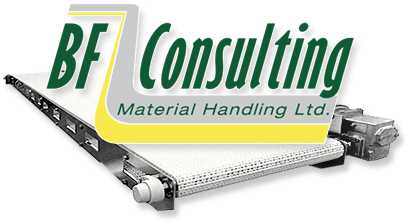 BF Consulting is a full-service material handling company that designs, sells, installs and services of all kinds of conveyors and ancillary products. We also supply parts. Our consulting service is designed to provide sensible options to our clients, large and small, from small start-up businesses to large manufacturing corporations. We provide solutions to meet any material handling need, and give you flexible options to meet your budget. 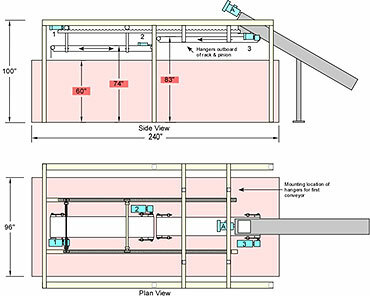 We can create the most efficient designs that can be expandable as your business grows. Our design and consulting work covers the full spectrum from complete turn-key, full-system design, installation and service, to modifications and rebuilds on existing systems, including the sourcing of difficult to find parts. We also create solutions where parts are no longer available. BF Consulting offers flexible installation options that include: full-service installation, partial installation assistance working with your maintenance personnel, and consulting services working with your engineers. Our seamless service reduces downtime and minimizes interference with your company’s operations, saving you time and money. BF Consulting offers inspection services to companies that want to ensure their conveyors are operated safely and to give their system maximum life. Copyright © BF Consulting Ltd. All Rights Reserved.